1. 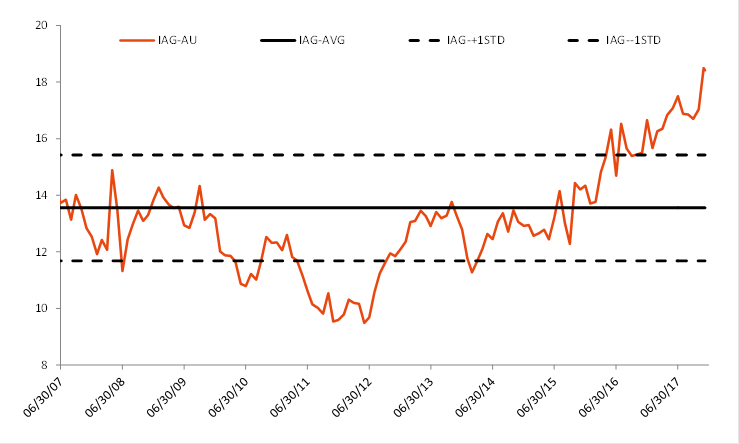 IAG – Similar to the Berkshire deal they did a while ago, IAG today has announced 3 new quota share agreements which will reduce earnings volatility, boost insurance margins 250bps on a full year basis and free up $435m of capital. Having a quick go at the numbers, this could add 2-3% to EPS – however this is a stocks that is incredibly expensive on a historical context BUT, the business does provide a low risk exposure to insurance, they will do a buy back of stock, something around the tune of 400m in FY18 which would improve earnings per share by around 2%. Overall, the deal announced in a good one and is definitely value accretive, as reduces earnings volatility, releases capital and lifts ROE. 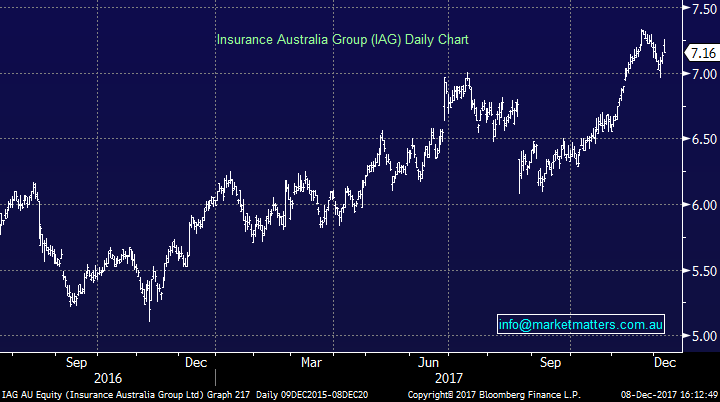 The also came out with FY18 guidance saying that insurance profit broadly unchanged and their reported Insurance margin 13.75%-15.75% (up 125bps). 2. 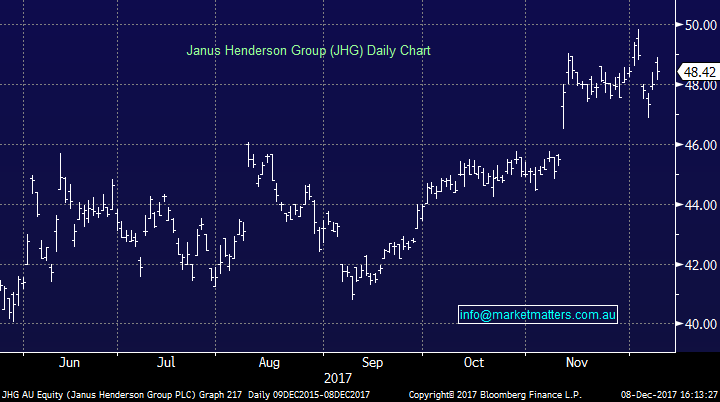 Janus Henderson (JHG) – A stock we like and we amended our BUY price up today to around $48.30 with a 3% allocation. 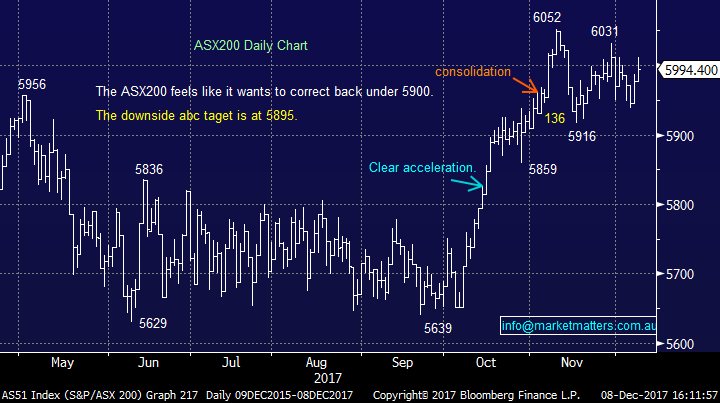 This is a reasonably cheap global fund manager with scale, we like its international exposure, and believe the financial space is where most money will flow should the market continue to track higher, and sustain the break above 6000. 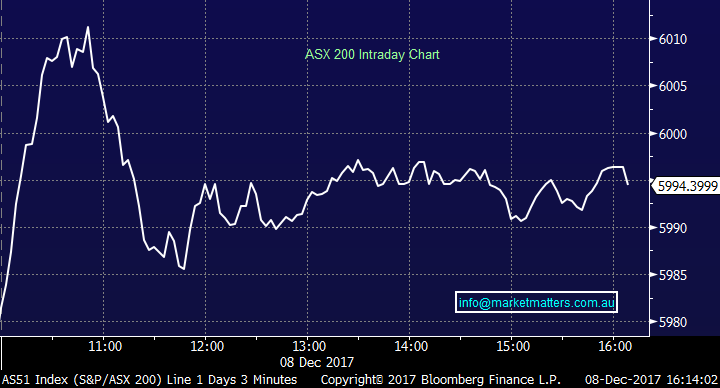 Not a lot else happening around the traps today as we await the non-farm payrolls in the US tonight, with the market forecasting another +198k jobs being created which is strong but down on last month of +261k. 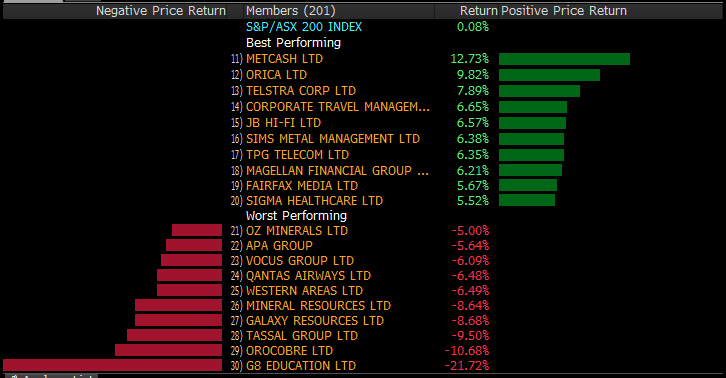 Watch for wages growth which is more meaningful and the mkt is expecting a print of +0.3% here. It’s the pressure on wages that really shows how tight a labour market is, and it has a big bearing on inflation and therefore interest rates. 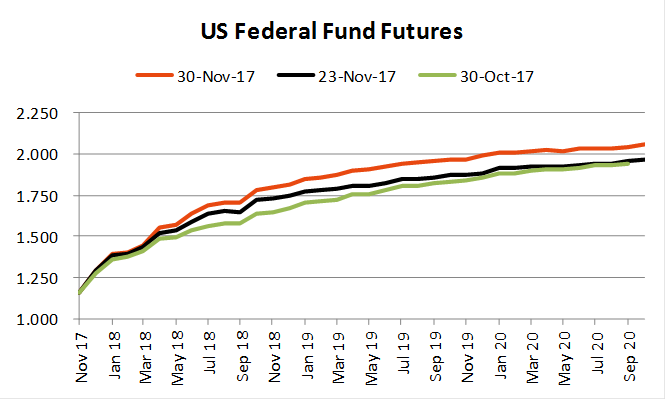 The US cash futures curve just keeps moving higher – tax cuts are stimulatory! !